Some folks prefer their gluten free brownies to be more cakelike. Yet others want a gluten free brownies recipe to be more like fudge. If you’re in the later group, you’ll agree with me that this is the Best Gluten Free Fudgy Brownies Ever! The secret? These gluten free fudgy brownies are moist and rich from using real butter and coconut milk. Plus, they have a coffee kick from the addition of instant espresso powder. Delightful! 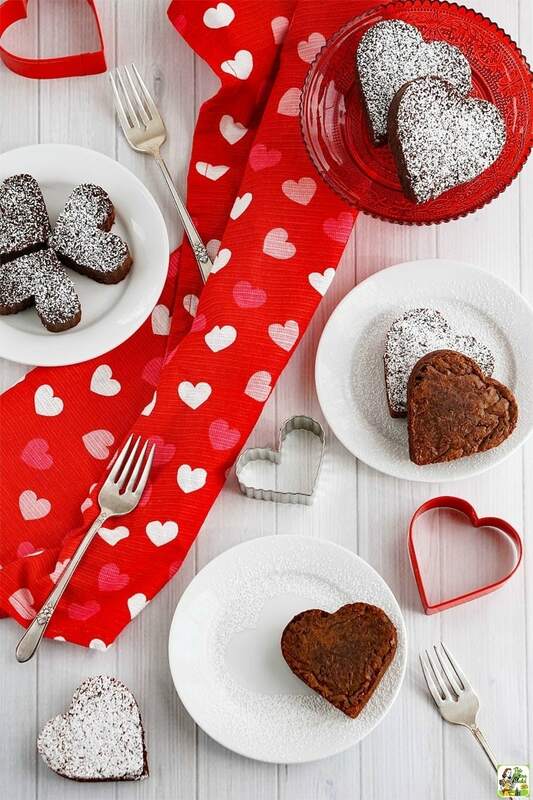 You’ll love serving up this easy gluten free brownies recipe to your sweetie (and the kids) for Valentine’s Day! I used my favorite gluten free flour to make this gluten free brownies recipe - Bob’s Red Mill Gluten-Free 1-to-1 Baking Flour. It works just like regular flour and I never have any problems getting great results when cooking or baking with it! 1. Pull out sheet of foil that is much larger sheet than your brownie pan. 2. Then place your brownie pan on top of the foil in the middle of the sheet. 3. Carefully bring the foil up the sides of the brownie pan. You’ll now have a “mold” of your pan. 5. Take the excess foil and fold over to form handles. If you have a lot of excess, you can trim it a bit, if you wish. Or just let the edges stick out. 6. Now spray the inside of your lined pan with more cooking spray so you can easily peel off the foil from your brownies once they cool. The handles come in handy when these your gluten free brownies cool. Then you can pick up the brownies right from the pan! 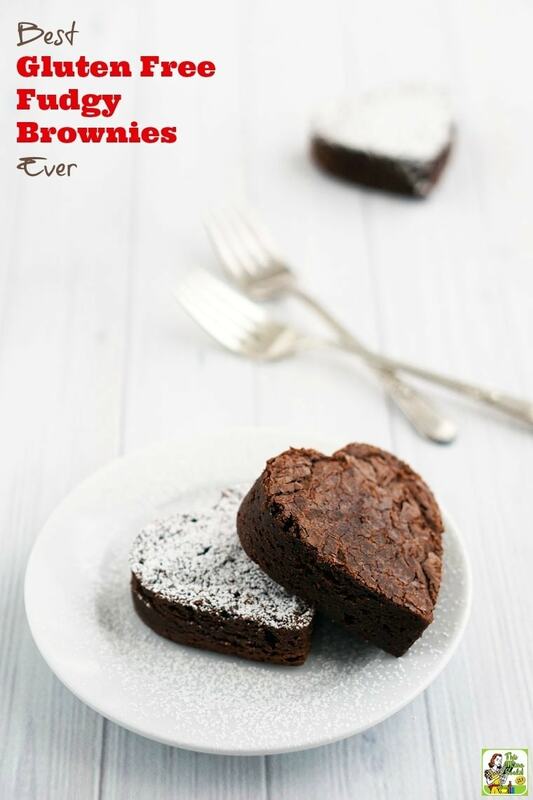 Just peel off the foil and voila, no brownies to chisel off of your brownie baking pan! Super easy to serve and clean up, too. David Lebovitz has a similar method with photos here. David mentions using the dull side of the foil versus the shiny side. 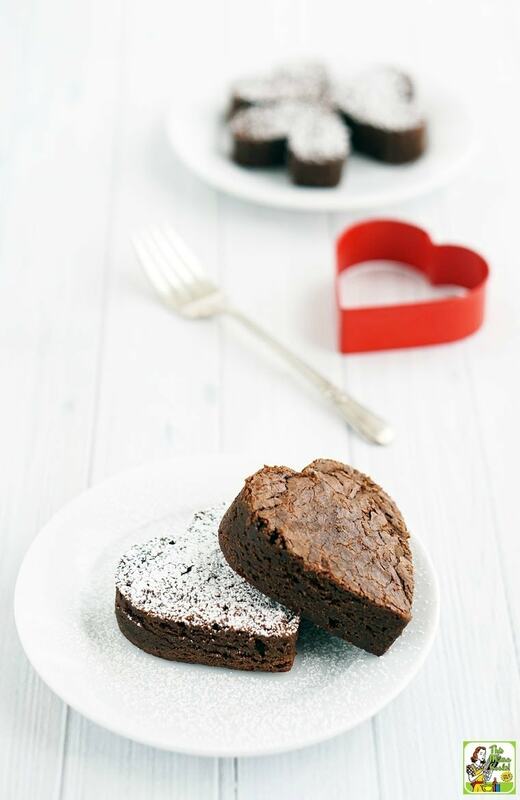 This Mama’s tips for making the Best Gluten Free Fudgy Brownies Ever! You can make this recipe both gluten and dairy free using a vegan buttery spread or dairy free margarine. Unfortunately, the Simple Truth Organic Semi-Sweet Chocolate Chips I originally used may contain dairy. Instead, use dairy free semi-sweet chocolate chips at like Guittard or Enjoy Life Semi-Sweet Vegan Chocolate Chips. I’ve seen both brands sold at my Kroger store. I like using a fine mesh strainer to sift my ingredients. Don’t skip this step. I found that my cocoa powder was super lumpy and sifting everything made the batter nice and smooth. 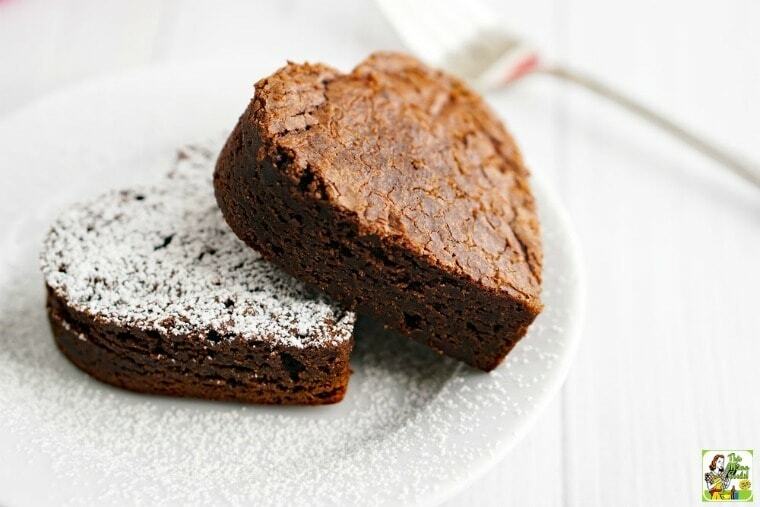 If you’re serving these gluten free flour brownies to your kids, leave out the espresso powder. Otherwise you're going to have some highly caffeinated kids! Before cutting the gluten free brownies, make sure they’ve completely cooled. If you can’t wait, place them in the refrigerator or freezer for awhile. You may wish to serve your gluten free fudgy brownies with powdered sugar. It makes the presentation elegant and fun! Place the powdered sugar in a tea strainer and tap over the brownies to get a nice dusting on both your dessert and the plate. Line a 7x11 inch baking pan with foil. (See tips on how to line the pan above.) Spray inside of lined pan with cooking spray. Sift the gluten free flour, espresso powder, cocoa powder, sea salt, and baking powder into a large bowl. Set aside. Place chocolate chips, brown sugar, butter, coconut milk and vanilla in a medium saucepan. Stir mixture over low heat until melted. Pour chocolate mixture into flour mixture and stir until combined. Add eggs and stir until smooth. Pour batter into pan. Place pan in center rack in oven and bake for 20-22 minutes. Toothpick inserted into center of brownie will come out clean if done. Top should be slightly crusty. Cool completely before removing brownie from pan. Can be refrigerated to speed up cooling process. Cut brownies into squares or with cookie cutters. Decorate with powdered sugar. Originally published on January 30, 2017. Updated with new information. Previous post 25 of the Best Healthy Smoothie Recipes!